Bethesda’s MMORPG, The Elder Scrolls Online, will be receiving an update for Microsoft’s Project Scorpio. The game’s creative director, Rich Lambert, confirmed this in a recent interview with website Finder.com.au. Back in 2016, developer Zenimax Online Studios already released an update for Sony’s PS4 Pro, and the studio is now planning to do the same for Microsoft’s upcoming enhanced Xbox console. The exact details of the enhancements on the Scorpio are unknown, but expect the same kind of things as on the PS4 Pro. Elder Scrolls Online saw some improvements when it was patched for the PS4 Pro. What improvements can we expect in the Project Scorpio version and what are you hoping Microsoft will announce about the console at E3? I think we’re going to be in for the same kinds of things [with the Project Scorpio version] that we did with the PS4 Pro. So visual stability will be up there. We’ll probably have the same types of visual bells and whistles. As for what Microsoft is going to release, I don’t know. I haven’t really spent any time trying to dig through what they’re doing. I’m sure they’ll have something [at E3], but as it relates to exactly what I’m focused on right now, I don’t know. The creative director also had something to say about future console requirements for the MMO genre. Well, can I approach it from a different angle then and ask you, what do you think consoles of the future like Project Scorpio need to do to make the most of the MMO genre? I would definitely say power is key. Memory is key. Especially in a game like The Elder Scrolls Online. There are hundreds of characters running around on the screen at any one time. We can have a 300 person battle in our game and that eats up memory. That eats up computing power and it eats up VRAM. So, the more they can pack into those newer consoles, the better. Definitely, we have seen just on console a really strong desire for a good console MMO and we’re reaping the benefits for that. But, I think as the consoles get more and more powerful, more and more people will start moving towards a console. Because it’s nice to sit on your sofa and have a beer and play. 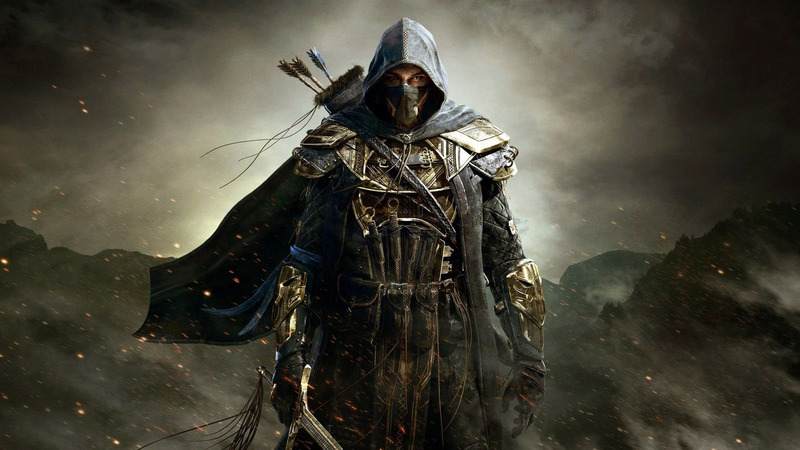 The Elder Scrolls Online is available now for PC, PlayStation 4 and Xbox One. The game’s Morrowind expansion is out today.